Ilse Aichinger was born to Jewish-Christian Austrian parents, and was raised a Catholic. She grew up in Linz and Vienna. With the rise of the Nazi regime, her family began to suffer anti-Semitic persecution in 1933. Ilse's education was interrupted by these events and during World War II she was sent to forced labor and lost all trace of her mother. Ilse was originally refused admission to medical school because she was half-Jewish. Although she eventually did enter medical school in 1947, she left to concentrate on her writing and also worked as a reader at the S. Fischer publishing house. Her first book was Das vierte Tor (The Fourth Gate). Her tragic fantasy novel Die grössere Hoffnung (The Greater Hope; English translation, Herod’s Children), published in 1948, is now considered one of the first novels of the Holocaust. In 1953, Ilse married Günter Eich, a German poet she met in Gruppe 47, a postwar group of German-speaking writers. The couple had two children. Rede unter dem Galgen (Speech Under the Gallows; English translation, The Bound Man and Other Stories, 1955) was described by a reviewer as "a sort of concise Kafka" for the severe angst and melancholy of her tales. Her other works include radio plays; Plätze und Strassen (Squares and Streets, 1954); Zu keiner Stunde (Never at Any Time, 1957), a collection of surreal dialogues; and the short-story collection Schlechte Wörter (Inferior Words, 1976). 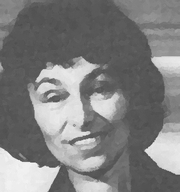 Ilse Aichinger began to retreat from public life in 1985. Over the years, she received numerous top prizes and honors for her work, including the Franz Kafka Prize in 1983, the Austrian State Prize for European Literature in 1995, and the 2001 Joseph-Breitbach-Preis, which she shared with W.G. Sebald and Markus Werner. She was named to the Akademie der Künste (Academy of the Arts) in Berlin and the Bayerische Akademie der Schoenen Künste. Ilse Aichinger is currently considered a "single author." If one or more works are by a distinct, homonymous authors, go ahead and split the author. Ilse Aichinger is composed of 2 names. You can examine and separate out names.